When there is a lot of snow during the winter. 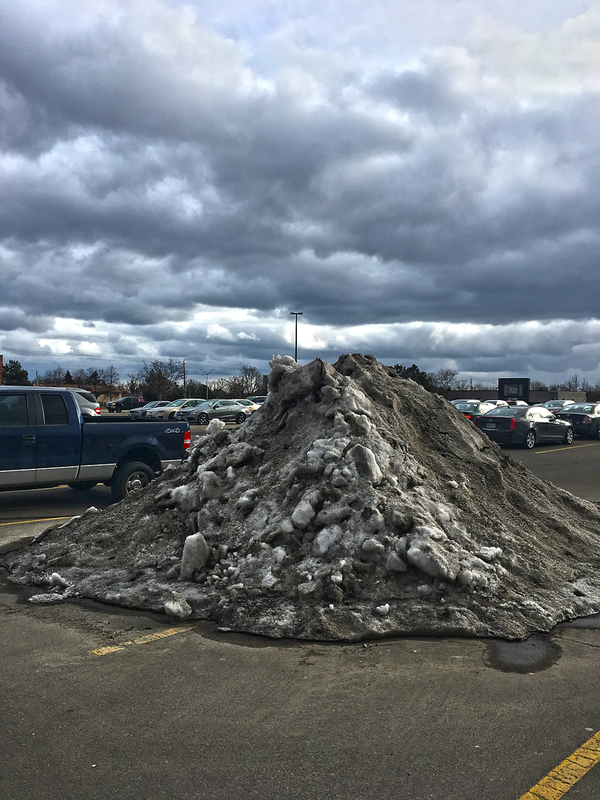 They pile the snow up in the middle of parking lots of malls and work places because that is the only place to store it. It looks so..... pretty when it starts to melt in the spring don't you think?